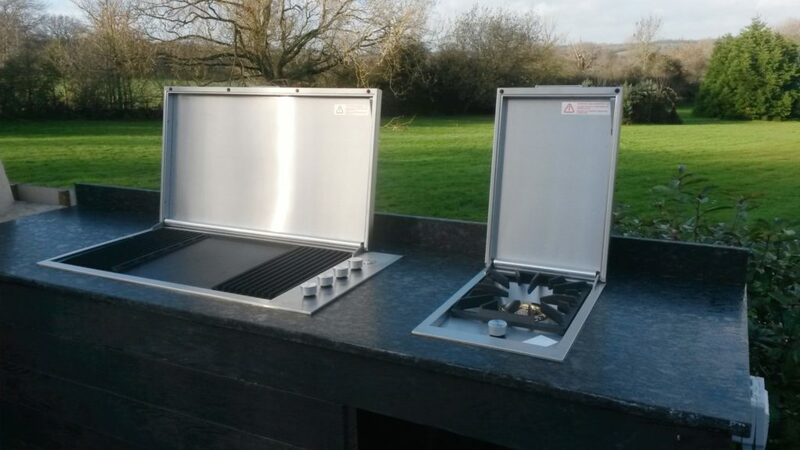 With Autumn approaching in 2018, the Berkshire based clients wanted to get this outdoor kitchen project underway to coincide with the new terrace being built by landscaper Philip Porter. 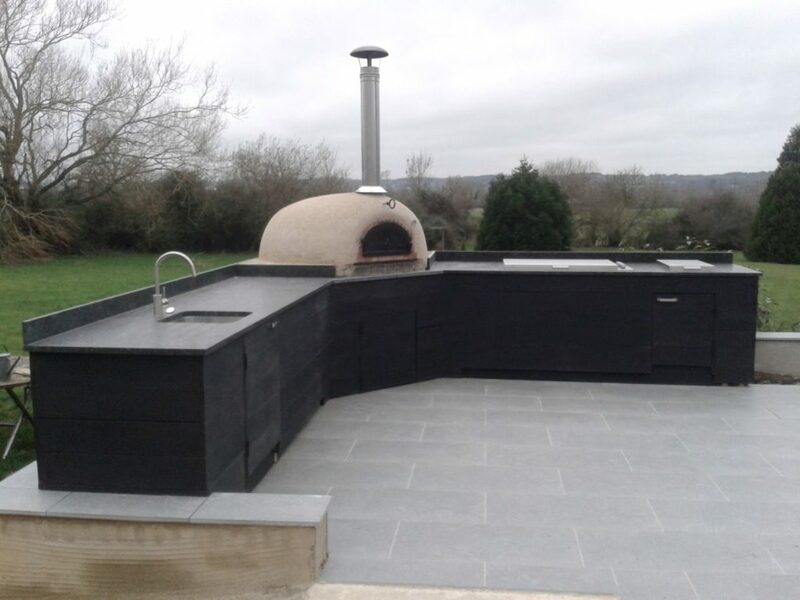 After a site meeting with the clients and garden designer, we came up with an outdoor kitchen scheme based on the embered Millboard being used for the decking and overall grey colour palette, incorporating a Four Grand-mere F950C+ wood-fired oven and Beefeater new low profile ‘Proline’ BBQ and side burner. 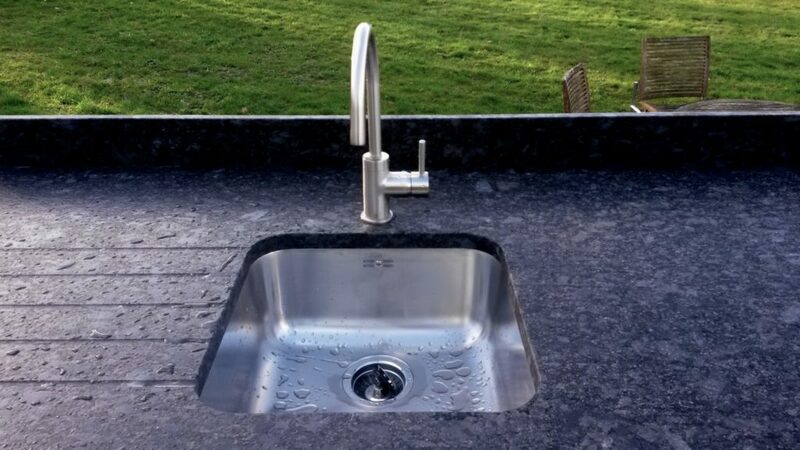 Together with a smart leather finish grey granite worktop and under-mount sink and tap, we realised a project that ticked all the boxes for restrained contemporary style and handed over ready for warmer Spring cooking outside. Like some of our other projects, we used a mixture of masonry to support the oven and timber to frame the wings of the worktops. The LPG bottles and plumbing were cleverly hid away in cupboards, all built on site to the agreed design. 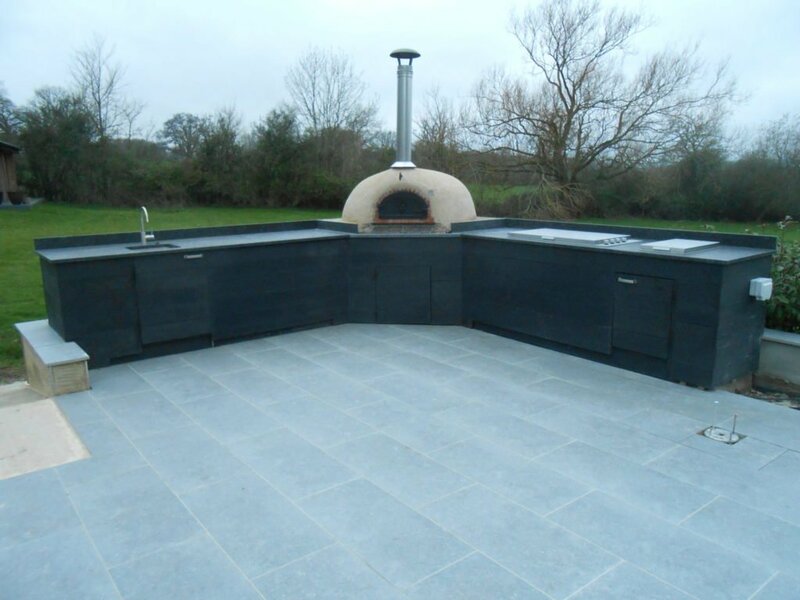 As the season progresses, we will add more photos of the outdoor kitchen Newbury, especially of the appliances being used so you can get an idea of the space in the oven and on the BBQ.